CoochieCrunch has been running for one Badass, Booty Shaking Year! We would like thank each one of our awesome 18,000 viewers who have checked us out from the UK, USA, Canada, Australia, Mexico, Portugal, Belgium, Japan and all over the world. We’ve featured articles this year that have moved our butts and our hearts and minds. We hope you’ll check out some of our favourites and get inspired all over again. Keep reading, keep booty shaking. We Love you! 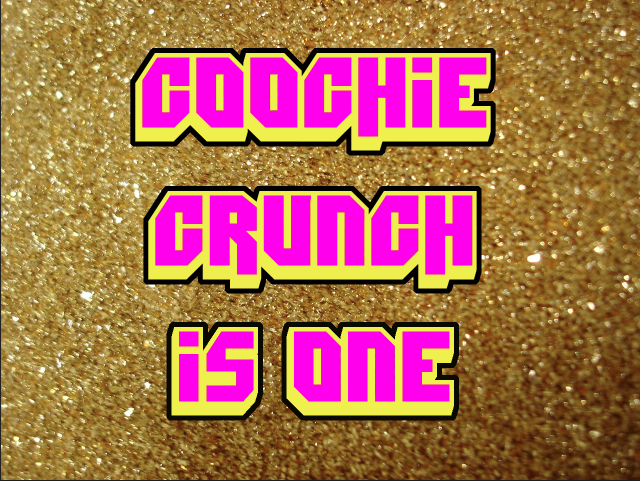 This entry was posted on April 2, 2013 by coochiecrunch in Coochie Crunch Blog and tagged Birthdays, Greatest Hits.